If you’re in the United States, you’re probably aware today is Thanksgiving Day. It’s one of the few Holidays where the entire point is to have a big meal, and Official Star Wars Costumes hopes you enjoy your day off. If you want to find out how a Star Wars Thanksgiving might go, check out this blog post from last year. It has food, family, football, and much more. There’s plenty to be thankful for this year. And stay tuned for Cyber Monday! Online’s biggest shopping day has tons of deals, and you’ll be able to grab free shipping on any size order Monday November 28th. 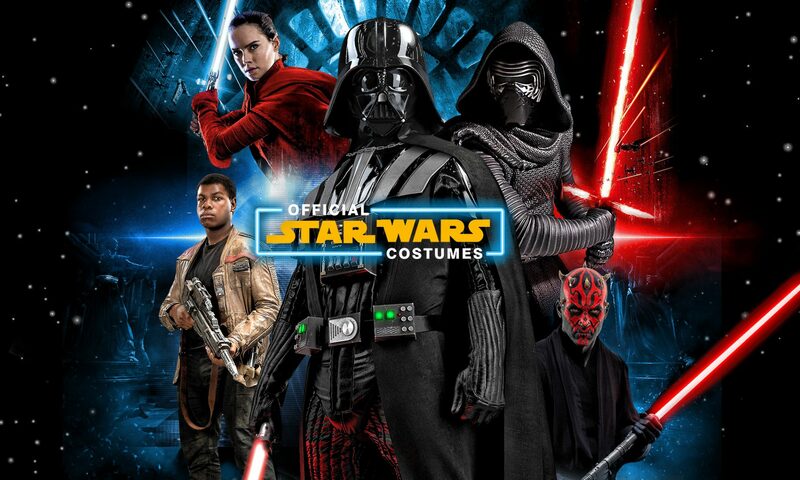 Visit our website and check out incredible costumes. We also have plenty of great gift ideas for the Star Wars fan in your life like lightsabers and masks. With the holiday season just beginning, we have plenty to look forward to. The sixteenth is Rogue One Day, and preview viewings have been painting it in a very favorable light. Additionally, recent information from Kathleen Kennedy, Lucasfilm president, tells us we’ll be seeing plenty of new Star Wars in the coming years, including the second and third films in the sequel trilogy. On May twenty-fifth 2018, we’ll get a Han Solo anthology film starring Alden Ehrenreich as our titular rogue. The movie also stars Donald Glover (Childish Gambino) as Lando Calrissian, and Game of Thrones’ Emilia Clarke in an unknown role. Director Josh Trank backed out of the planned Boba Fett movie, and consequently pushed the film back. Still, there’s plenty to be thankful for this Holiday season. We hope you’ll take a break from the rushing around this year to settle down and enjoy a nice meal. Thanks for reading! Come back next week for more cool Star Wars information, and have a happy Thanksgiving weekend!